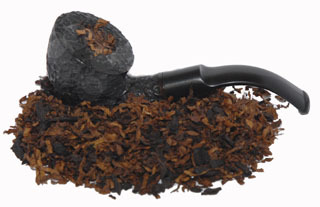 Black C (B-23) Formerly (Black Forest) Mixture Pipe Tobacco - 100g . A sweetened light and dark mixture. Black C (B-23) Formerly (Black Forest) Black Forest Mixture Pipe Tobacco - 250g . A sweetened light and dark mixture. Black C (B-23) Formerly (Black Forest) Black Forest Mixture Pipe Tobacco - 500g . A sweetened light and dark mixture. Black C (B-23) Formerly (Black Forest) Black Forest Mixture Pipe Tobacco - 1 Kg . A sweetened light and dark mixture. Black Cord - Formerly Extravaganza Pipe Tobacco - 100g . A luscious Black Cavendish blendr. Rich and mellow. Black Cord) Formerly Extravaganza Pipe Tobacco - 250g Pipe . A luscious Black Cavendish blend with liqueur flavour. Rich and mellow. Black Cord (Formerly Extravaganza) Pipe Tobacco - 500g. A luscious Black Cavendish blendr. Rich and mellow. Black Cord (Formerly Extravaganza )Pipe Tobacco - 1 Kg . A luscious Black Cavendish blend with liqueur flavour. Rich and mellow. Columbian (Formerly Gaelic) Mixture Pipe Tobacco - 100g . A scented mixture, dark brown in colour but light of character.